After overnighting in Death Valley for the "Supper Bloom" I needed to find a place to go for the night so I can be at the Disc Golf World Championship tour outside of LA tomorrow. 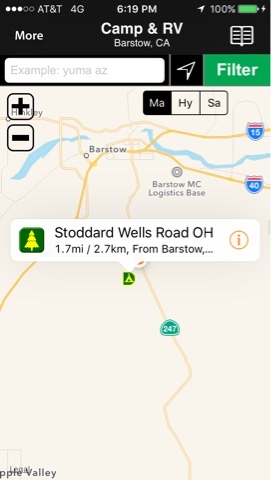 I spotted this BLM land on AllStays just south of Barstow, CA and decided to check it out. The use of this land is for off roading but being Wednesday I knew it wouldn't be populated. 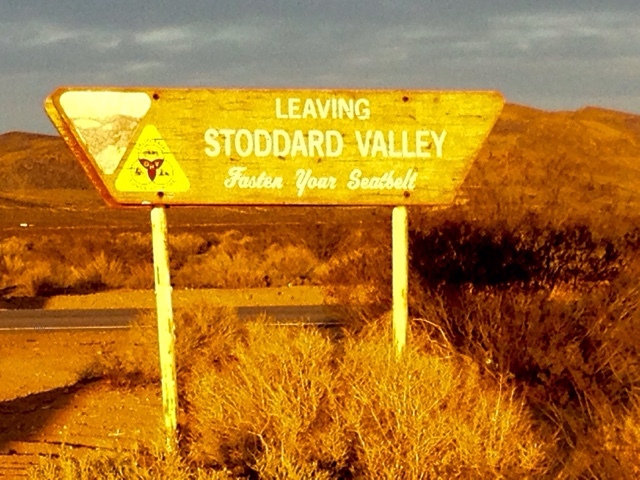 I couldn't take a picture of the other side welcoming me as it was sunset and I would bevy along picture into the sun. Here is my spot for the night. 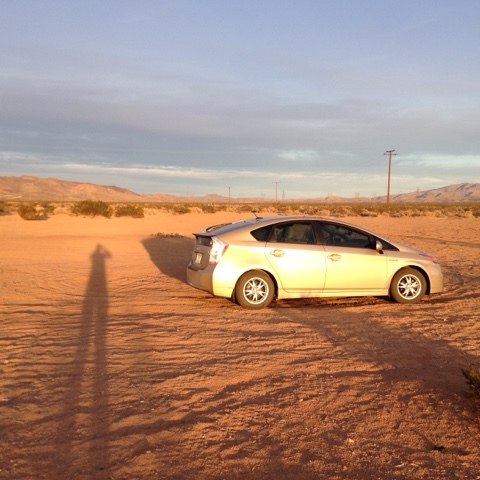 Dry camping in the desert with good cell service for me blogging and podcast listening. 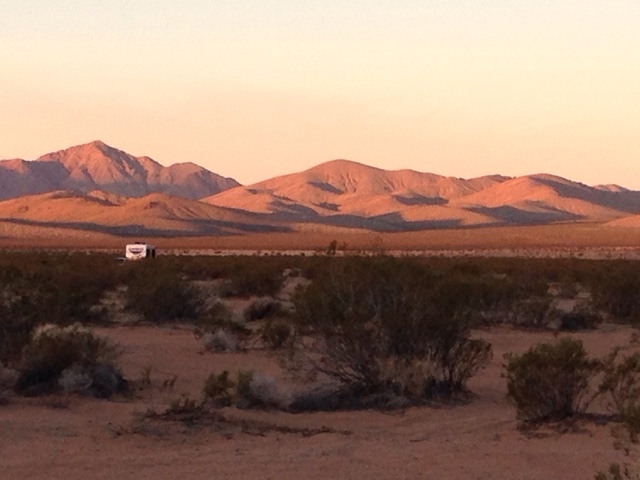 I took this picture with morning light facing west with one other rig in the desert for the night. They came in just before dark and must be regulars as they had a 5th wheeler and went right down the narrow dirt road.